This book by Professor Daniel Pauly is for people interested in fishes, in Charles Darwin, or just plain interested in natural history. Darwin is known for writing about many things, with superb works on orchids and barnacles and, of course, on natural selection. Many authors have written about him and we often hear reference to 'Darwin's finches'. I suspect few people connect Darwin with fishes: this now will change. Daniel Pauly has done a superb job in this book in showing us the many connections between Darwin and fishes. He does this in a delightful way, mixing subtle, cryptic humour with academic discussions. Pauly gives us a tour in discovering fascinating facts; it's a great way to learn about fishes. Daniel Pauly is internationally known for his work on fish growth and mortality, tropical fisheries management, and ecosystem modelling. A recognized leader in studies of fish population dynamics, he is also well known for his insights into the historic and socio-economic factors that intervene when fish populations are exploited. These, combined with his wide interests in evolutionary subjects, allowed a masterful treatment ofDarwin's contributions to ichthyology, the subject ofthis book. The book is arranged like an encyclopedia, with items in alphabetical order. The generous cross-references allow the reader to start with a given term of interest and go on an exciting voyage of discovery, exploring all sorts of worlds. One can start from a given fish taxon (by common or scientific name) and be led through, for example, an anatomical part, to a biologist or other scientist, a scientific phenomenon, an ecological or evolutionary subject, a philosopher, a chemical element, a geographic location, some form of life other than a fish, a museum, and then back to some fish. All the topics, however, lead directly or indirectly to the work of Darwin, perhaps the most influential person in biology. The reader never knows where the journey will lead, perhaps to an old fossil, to Louis Agassiz, or to a species flock undergoing evolution. An exciting mixture of topics enters in as we take off in whatever direction we wish. Readers get into whole organismal biology (and respect for whole organismal biology is under serious threat in many so-called 'Biology' Departments), and it is fun to challenge ourselves in seeing just what we know or do not know on given subjects. Resources of interest to ichthyologists also include an appendix list of Darwin's Fish in Spirits of Wine by Jacqueline McGlade and the list of Beagle specimens in the Natural History (London) and Zoology (Cambridge University) museums. Fishes came into Darwin's life, just as they do ours, in many fascinating ways, as readers will discover. The book does have limits, though, as Professor Pauly has been conservative in his definition of the term 'fishes'. After all, he could have included us: even we humans are fish derivatives! Darwin receives special respect from biologists. So should fishes. If it were not for fishes we would not have evolved - which cannot be said for finches and other birds. True, Darwin has his detractors, but then so do fishes. Darwin was not the first to suggest that life evolves: such people as his grandfather, Erasmus Darwin, and Jean-Baptiste Lamarck believed life evolved, but we tend to overlook that. What has captivated us is Darwin's explanation of the driving force of evolution, natural selection. Alfred Russel Wallace had the same explanation for evolution as Darwin, but we tend to overlook that also. One can excuse ichthyologists trying to explain the vast diversity of colour in tropical reef fishes from wondering if something else other than natural selection is at play. But let's remind the creationists that our knowledge that evolution has occurred, and is still occurring, is not based on the theory of what its driving force(s) may or may not be. Darwin has certainly been a major figure in giving us the impetus to make our classifications reflect evolutionary history. It is through his theory of evolution that we explain similarities between taxa and give a modern rationale to our classifications. Our knowledge of evolution and the historical connections of life with explanations of why life is as it is gives biology a unique place among the sciences. In Darwin's day, about 9000 species of fish were recognized as valid, compared with over 28000 now. 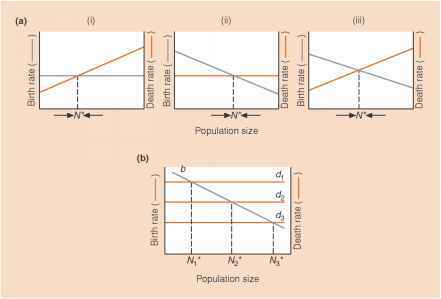 We have a concept of species today, as evolutionary lineages separated by irreversible discontinuities (see Nelson 1999), different from that of Darwin, and yet that is not what explains the different number of species recognized. Active ichthyologists of Darwin's day dealing with higher fish classification included Albert Giinther of the British Museum and in America Theodore Gill and Edward Drinker Cope. Ironically I think the latter two employed more evolutionary thinking in their work than did the fellow in the British Museum, who as this book points out, studiously avoided references to evolution. Not surprisingly, many fish species, starting with Pimelometopon darwini, have 'Darwin' as part of their scientific or common name, and this book presents all of these (first-order) eponyms, along with second-order eponyms, various retronyms, and one whimsical 'reverse eponym', the unfortunate Mr Fish. There is also Darwin's bass, but that is a book by Paul Quinnett, entitled Darwin's Bass, The Evolutionary Psychology ofFishingMan. One can get easily hooked on both Pauly's and Quinnett's books and come out a winner. Pauly's book is an adventure in learning. This scholarly work is also a wonderful source of quotes, for research papers, public talks, university classes, student essays, or cocktail parties, and the exact source is given for all quotes, so you can pretend you found them yourself. The book will be of interest to both the old-timer and the beginning student of ichthyology (alas, are we not all ultimately beginners) as well as for those with a fondness for Darwin but knowing little or nothing of fishes. It's a good full meal, from the 'dry-run' introduction, through the main course of entries, to Jacqueline McGlade's wine list, and the dessert of finely annotated references. We can enjoy fishes in so many wonderful ways and I thank Daniel Pauly for presenting yet another way.